Years ago, as an undergraduate at Bethel College in Mishawaka Indiana, I was named– Ok, I named myself–the editor of the brand new literary journal, Chant/koming. 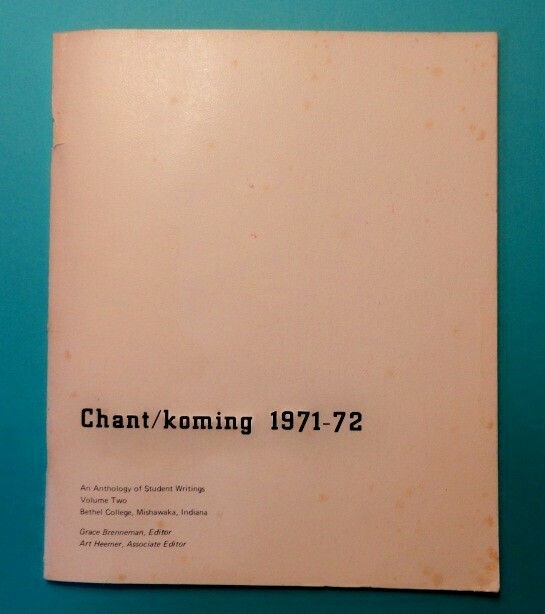 I may possess the only copy of Chant/koming in existence. It says it’s Volume Two, but I don’t remember ever producing Volume One. It would be like me, to suggest that it would be better to imply we were so successful, we were already on our second volume—a foreshadowing of my future career in marketing. Not having a budget, the journal died just as quickly as it was born. It takes money to produce a print journal. There were no other volumes, and as far as I can tell, Bethel doesn’t currently have a literary journal; although, there is no good reason for them not to have one. When I started this journal, I was on a student’s quest to build a literary community for myself. It was a time of speaking out, and against, things like the war and in general, The Establishment,which represented anything over which we didn’t have a lot of control. In my sheltered world of a quiet, small liberal arts college, I had only the vaguest familiarity with real protest poets like LeRoi Jones (Amiri Baraka), or the Beat Poets. 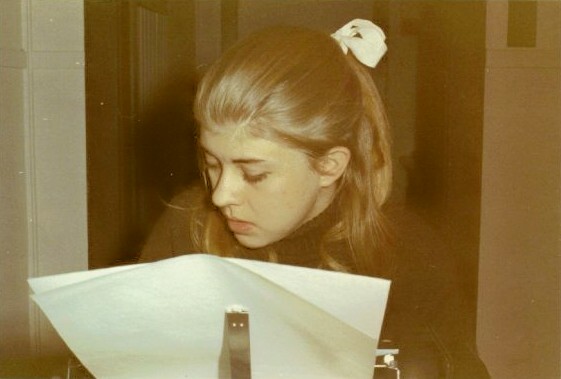 I didn’t really have much exposure to contemporary poets even in high school; although, I was listening to the music of people like Bob Dylan, Arlo Guthrie, and Pete Seeger. I remember how shocked—and enthralled—I was when a classmate told me, she had heard that Allan Ginsberg openly masturbated at parties—a tale, that has no basis in fact that I could find. I was naïve and impressionable and was smuggly reading poets like Pound and Elliott. Mostly, I was acquiring a sense of the allure of words and more importantly, of their power. I wanted to be a part of this and I desperately wanted our school to have a literary journal. It was between my sophomore and junior year that I attempted to establish Chant/koming. Of course we had no budget so the student editor of the newspaper, The Beacon, used newspaper funds to pay for the typesetting and likely the printing also. I don’t remember how we solicited or selected work, although we probably included everything given to us. We asked art students to make wood block cutting and I naively thought we could individually imprint each book with the art but in the end, we included the cuttings in the print plates and printed them directly onto the pages. I vaguely remember three or four of us around a table in the newspaper office, binding our first edition, Volume Two, with staplers. We even ran a poetry contest and published the winners in the inaugural issue. Chant/koming might not represent a pinnacle in American literature. In fact, it was pretty bad but I had a good time while it lasted and, I am a little bit proud of having done it. I realize there is a part of me that enjoys the process of creating the volume, the collection, laying it out, arraying the art beside the words. It’s an interesting creative process in itself. Literary quarterly publishing original poetry, fiction, and essays. Talented new writers of prose and poetry. Discovery of unpublished works of history and literature. Fiction, poetry, nonfiction essays, interviews. From its founding nearly twenty years ago, New England Review has continued to publish poetry, fiction, and prose of the highest quality. Publication on news, sports, and student life by the students of the Missouri University of Science and Technology . Miami University Middletown’s literary journal of the whole creative writing process includes literature, essays, pedagogy, and mystery links. Truman State University student journal is produced each spring and examines art, literature, drama, photography, and music. Quarterly features contemporary translated writings from non-English-speaking countries. Includes both original literary and artistic works. Mississippi State University’s semiannual journal of art, poetry, and fiction. Literary digest from Michigan State University, featuring poetry, fiction, and interviews. Electronic journal of literary and art historical criticism. San Jose State University’s annual journal of poetry and prose, one of the oldest student publications west of the Mississippi. The nation’s oldest continuously publishing college literary magazine. Ezra Pound, T. S. Eliot, Wallace Stevens, e e cummings, Adrienne Rich, Sylvia Plath, John Ashbery, and Norman Mailer. 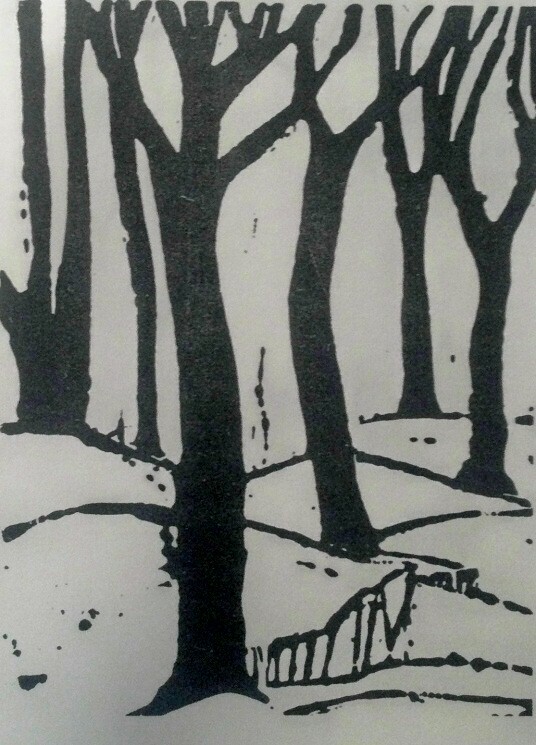 Collection of poetry, short stories, and art produced by students of Princeton University. Alumni issue available as well. Magazine about life in Pittsburgh by Carnegie Mellon University English majors. Annual publication of various literary and artistic works by members of the Caltech community. Online literary review of the Graduate English Creative Writing Program at UC-Davis. A good friend of mine is teaching at a university in Kentucky and has recently received a grant to start a literary journal there. Hey, I’ve got a good title for him: Chant/Koming. I have no idea what it means and I can’t find a reference to it. The name is the brainchild of a fellow student from years ago whose name I can’t remember. It was a part of my ill-fated attempt to join the chorus of everyone I was reading at the time; and, a nod to the excitement poetry–and publishing poetry–was already bringing to my life at such an early age. This entry was posted in Poetry and tagged Allan Ginsberg, Bethel College, Chant/koming, Grace Curtis, Poetry. Bookmark the permalink. I love this article! I myself am currently in the process of creating a literary journal, and although I am not specifically working to speak out against the Establishment (though some anti-Establishment writing would be much appreciated!) I am trying to create a literary community in this small, southern town that oh-so much needs it. Again I loved this piece. Thank you so much for your comments. It is so exciting to hear about your new project. I wish you all the best and I hope you will keep me informed about it.